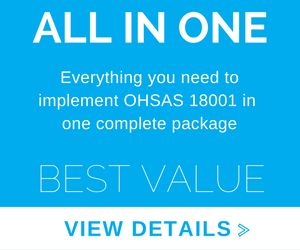 OHSAS 18000 Store > Articles > What is an OHSAS 18001 Gap Analysis? One of the first steps in your Occupational Health and Safety Management System (OHSMS) implementation project is to compare your current system to the requirements of the OHSAS 18001 standard. This is most commonly called a Gap Analysis. It is important to understand what the Gap Analysis involves, and what information it will provide. 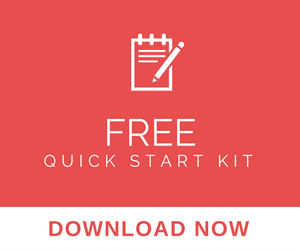 The most important tool for the Gap Analysis is the Gap Analysis Checklist. This is a list of the requirements in the standard, written in question format. The Implementation Team will use this list to compare the system that is in place with the standard requirements. The checklist provides the team with recommendations of what documents to look for, examples of what will meet the requirements and other guidance on creating an OHSMS that meets the standard. It becomes the roadmap of your project – telling you what areas of your existing system need revision. The implementation team now knows where to focus their efforts. You should use the completed checklist to make task lists for the implementation plan. For each section of the standard you will want to prepare a list of items that need to be implemented, redesigned or documented. Every question on the checklist can be answered with comments stating what is in place or what is not in place. Make notes explaining what practices do not meet the standard. Make notes on where additional documentation is required. The team must be familiar with the standard in order to perform an effective audit. If your team has not been trained on the OHSAS 18001 requirements, be sure to provide training before performing the gap analysis. Review the project plan: Who did you identify to conduct the gap? Determine if you will review by process/procedure or by area of the facility. Our approach is usually to audit by process/procedure and compare. Schedule time to review each section of the standard. Arrange your Gap Analysis checklists so each member will have the sections of the standard that are applicable in the areas they will cover. Follow the schedule that you have prepared. Review each process/area of the facility to evaluate the current system. For each requirement (or set of requirements) of the standard you will want to identify the status of the current system. Focus on what is in place, and what is not in place. Remind the team that you are not focusing on compliance or non compliance to the current system, but on the design of the current system, and if/how it matches the OHSAS 18001 requirements. Note what is in place, and what will need to be developed and changed. Take complete notes, reference documents and examples. This meeting should be held shortly after the review, so that information is fresh in the teams’ memory. These results can be transferred to task lists for the implementation. Task Teams will be assigned responsibility for development of a procedure.